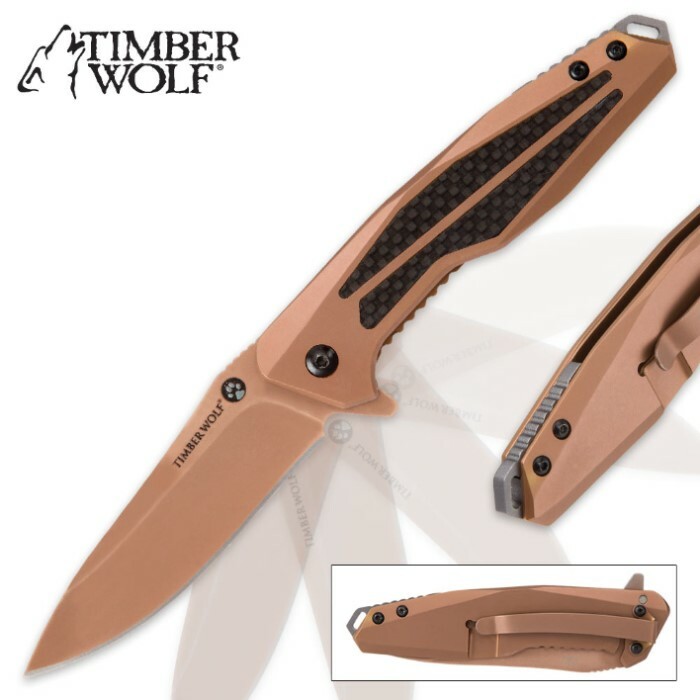 The Rose Gold Titanium Pocket Knife by Timber Wolf is a masterpiece of design from its meticulously detailed accents and smooth color scheme to its ergonomic shape and razor-sharp blade. The 3 1/4” stainless steel blade can be deployed quickly using the flipper to engage the assisted opening mechanism. 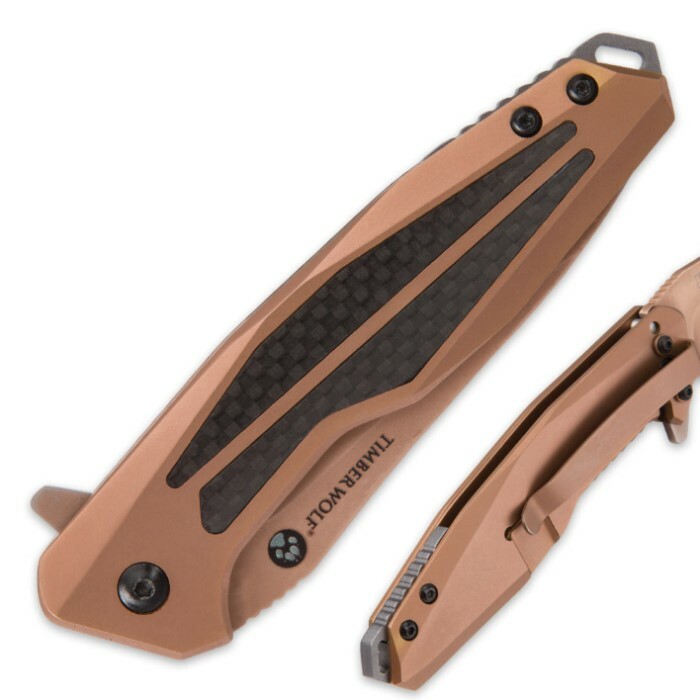 Both blade and handle are rose gold titanium electroplated and a black carbon fiber peek-thru insert complements the overall look of the pocket knife. 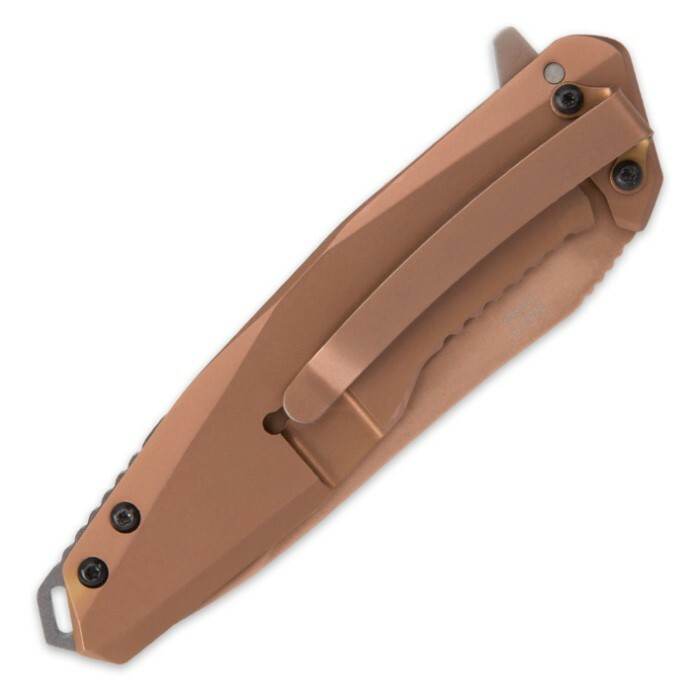 A rose gold titanium electroplated pocket clip lets you carry this pocket knife with ease. I have the silver and gold one and i love them both! Great knives for a great price. Very well made and just cool looking too!